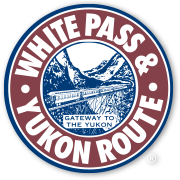 White Pass is pleased to announce the beginning of a three-month project located at Mile 21.4 to complete the Summit Loop. The Summit Loop is an integral part of a new operating plan that will make our railroad safer and enhance the guest experience. Implementation of the loop will eliminate the time needed to switch train engines at the summit. The scope of work includes extending the siding to the north about 900-ft and grading 4000-ft for the loop alignment. We expect the delivery of track material in the coming weeks. Guests can expect to see construction crews and their work camp at the summit of the pass. Though we regret having to start the project prior to the close of our operating season on October 3rd, the window of time to complete construction is limited due to the harsh winter conditions at 3,000 feet. We will do our best to limit the impact of the project for our guests’ experience.